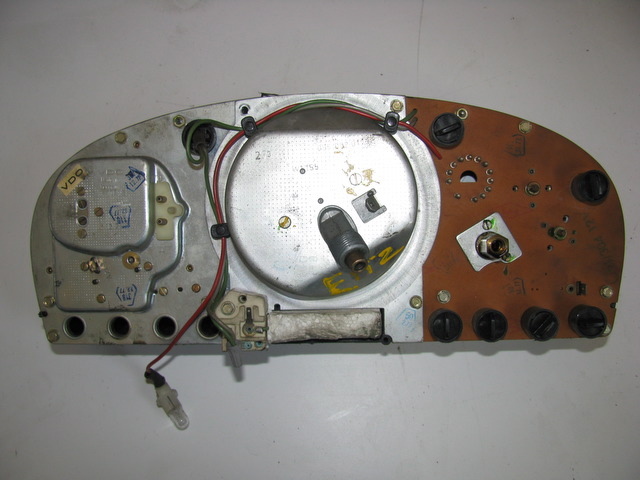 123 instrument cluster that came on 1977 to 1985 models 240D 300D 300CD 300TD 280E and 280CE use both the larger style bulbs and the smaller style. If you look at the back of the cluster you will see that all bulbs except for the warning bulbs on the lower passenger side of the cluster are inserted into the back housing with a twisting socket. There are three large bulbs on most models. Some models have four large bulbs. The remainder are small. That is 6 total of the twist lock and two to three total of the push in type. So to order a complete replacement set for the 123 chassis you should order five total large and ten total small. For most applications this should give you an extra bulb in each size. Please note: the twist sockets are turned counter clockwise to remove. 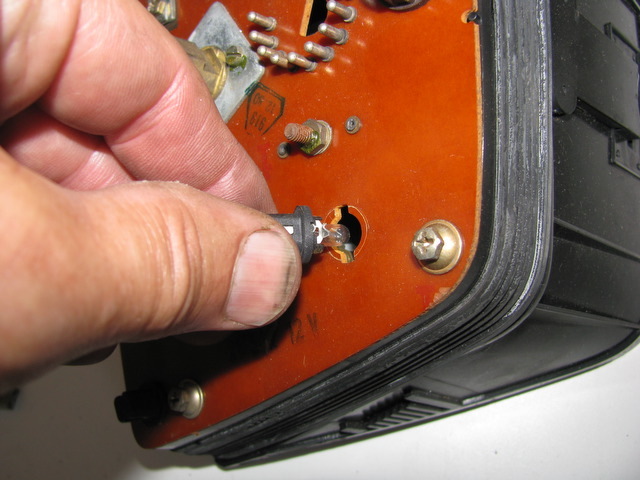 Once you remove the socket then the bulbs can be pulled straight out and the replacement bulb pushed straight into the socket before the socket is turned or locked back into the instrument cluster housing. 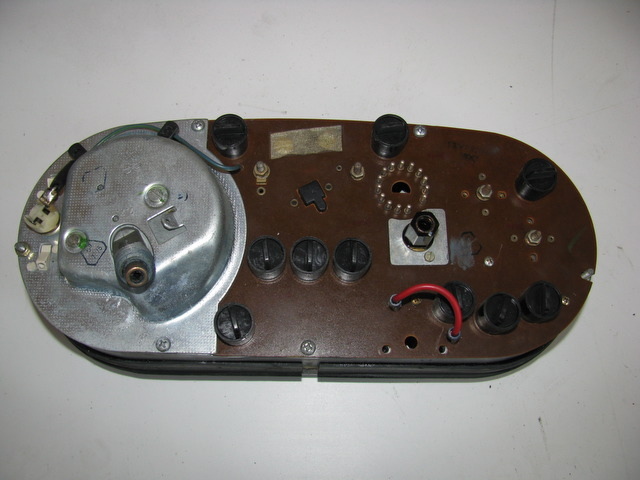 The 114 and 115 chassis instrument cluster that came on 1969 to 1976 models 250 250CE 280 280CE 220D 240D and 300D use all large style bulbs on the back of the instrument cluster. This includes both the two dash lights at the top of the cluster and the eight or nine indicator or warning bulbs on the lower section of the cluster. In the 1975 and 1976 300D they used one extra light bulb below the speedometer for the glow indicator light. So if you have a 114 or 115 I recommend that you order 15 bulbs to replace all on your cluster. Two to Three extras depending upon your model for future use. Please note: the majority of the bulbs on the back of this cluster are in sockets that require you to grab the tab push it in and turn it counter clockwise to remove the bulb holder. Once the bulb holder is removed from the cluster you can pull the old bulb straight out and install the new bulb by pushing it straight into the holder. 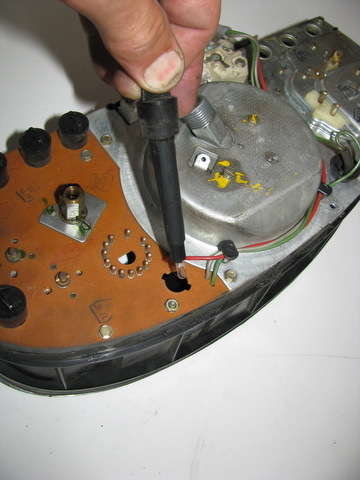 The 116 chassis instrument cluster that came on model 450SE 450SEL 280SE 280S 280SEL 450SEL 6.9 and 300SD (produced from 1973 to 1980) used both large and small sized bulbs in their instrument cluster. What is unique about the 116 chassis is they used small bulbs for the two lights that light up cluster at night where as the warning and indicator bulbs are all of the larger type. Most 116 chassis would use three or four indicator lights on the lower passenger side that are of the large plug in style bulb. So if you are ordering a complete set of bulbs for replacement in a 116 chassis I would recommend you order four small bulbs (this would give you 2 extra replacements for the dash indicator lights) and 10 of the larger style bulbs (this would give you 2-3 extras in case you have any burn outs in the future). Please note: to remove most of the 116 bulb holders on the back side of the cluster you must first push in on the tab as far as you can and turn it counter clockwise to release it. 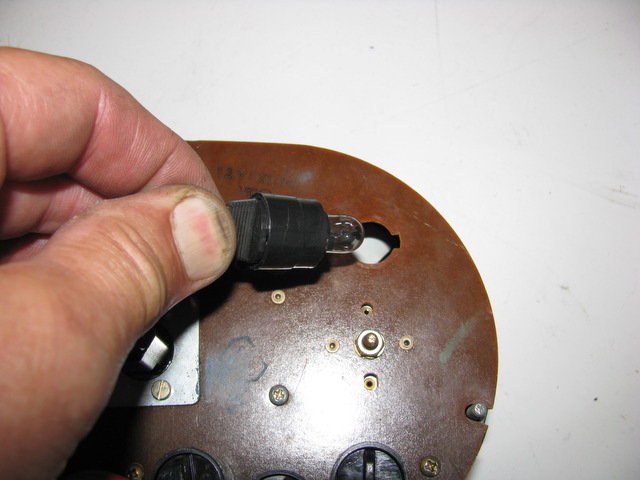 Then you will be able to pull the socket out of the cluster and pull the bulb itself straight back out of the holder to remove. NOTE: On the 116 chassis and 107 chassis the small bulb is used to light up the cluster (on end of long tube).